The protagonist of this story, who remains unnamed throughout, is a white-collar worker who is totally dissatisfied with his life – not just his job, but his whole way of life, which is also our way of life. Having your own appartment, owning lots of meaningless stuff, being a worker drone in a soulless system. This is apparently “success.” Something is seriously wrong, and he feels it. He is desperately unhappy. As a way of making life more tolerable, he attends various group therapy meetings: testicular cancer, alcoholism, etc. Even though he has nothing wrong with him, these meetings centre him emotionally somehow. Then our hero comes across a man called Tyler Durden, and his life is changed forever. In a parking lot, Tyler bizarrely asks him to hit him, then Tyler hits him back. This moment flowers into a painful initiation. Together they form Fight Club, a secret gathering where men come to fight each other in pairs. And it’s not even about fighting to win. It’s about release – unleashing all of the repressed garbage that “normal” life forces on you, and finally feeling alive again. Everybody benefits, winners and loser. And Fight Club’s popularity begins to soar, with clubs sprouting up in towns and cities all over America. The problem starts when Fight Club evolves into something else: something Tyler calls Project Mayhem. The agenda becomes, not so much personal catharsis, but planning to destroy the system that stole your soul in the first place. This novel definitely touches something deep in the psyche. I could never imagine something like Fight Club taking off in real life, but I know the feeling of being a worker drone, of experiencing life as drained of all vitality, of feeling that I’m bound and shackled in an allegedly normal existence that is actually sick. I’ve known what it’s like to repress myself, and to unleash myself. But there are safer ways than Fight Club; I couldn’t ever imagine myself going for that. As for Project Mayhem, I think the reader is expected to ask himself whether he wishes to see civilisation as we know it destroyed and reborn. My own viewpoint is that there is actually nothing wrong with life as it is – even if it is screwed up. It’s the responsibilty of every individual to struggle against an essentially predatory world – just like it is in the animal kingdom. We have no basic human right of utopia, and no right to expect it. Adapt and survive. The tragedy in the story is that a bunch of men who step outside of the system end up becoming what the protagonist calls “space-monkeys” – blind followers of a messianic leader, Tyler Durden. Readers will no doubt be familiar with the excellent movie based on this novel. I last watched it about a year ago, and from what I can remember it’s a very faithful adaptation, so much so that reading the book almost felt like watching the movie. The book’s ending, however, differs somewhat, and is, in my opinion, superior. There is good reason to believe that the universe is, in some sense, holographic. Put another way: solidity isn’t quite so solid. Science has a lot to say in defence of this counter-intuitive idea. Atoms are mostly empty space, which is what allows vast portions of the electromagnetic spectrum, such as X rays and radio waves, to pass right through solid matter, including our bodies. Inside the atom, electrons are bouncing all over the universe with no regard for the speed of light restriction. There is a universe of localised objects which is held together by a deeper and more fundamental universe that is non-local. We may say the universe is “holographic” as a means of useful analogy. A holographic photograph has no actual three-dimensional solidity, but it gives the appearance that it does – as does the universe. Talbot’s book begins by reiterating some deep and complicated scientific ideas by Karl Pribram and David Bohm. He suggests that the term “holographic” is more than mere analogy. Holograms have the curious property that if you cut them in half, you don’t end up with half the picture in each segment; you get two copies of the whole picture. The universe, it is claimed, is also like this. Each part contains the whole. Personally, I find more value in the simpler model that the universe is a non-dual unity; each part appears to contain the whole because there aren’t any parts. I rather like Bohm’s terms for the two sides of reality: the implicate and explicate order. Once Talbot establishes his theoretical model of the universe, his interest is in showing how it can provide a rational basis for explaining paranormal phenomena. This is the very same insight that struck me some years ago, when I got to grips with non-dualism. I proceeded to experiment with psychokinesis, and managed to get some small but mind-blowing reults. PK was, however, something very slippery and hard to replicate on demand – which strikes me as the key reason why paranormal phenomena have never yet been integrated into science. In the last two thirds of the book, Talbot tackles dreams, healing, stigmata, psychokinesis, the aura, clairvoyance, precognition, reincarnation, out of body experiences, near death experiences, etc. This is where the book started to fall apart for me. Although I have had direct experience of a psychic “ability,” there is no doubt that charlatans abound. Talbot provides a catalogue of paranormal experiences, some of which beggar belief. To his credit, he is conscientious about quoting his sources, but some of those sources seem more than a little dubious to me. For instance, it is claimed that some stigmatics have nail-like growths protruding from their hands, mimicking the wounds of Christ. In Talbot’s view, this is due to the mind’s ability to change the body through intention. The Christian’s powerful identification with Christ through a lifetime of meditation eventually manifests in his own body. The problem is: if such stigmata are real, why isn’t the medical world standing back in awe? Why hasn’t it revolutionised our ideas about mind and body? This isn’t some highly subjective piece of evidence for PK or ESP. The stigmata is present and observable; it won’t wanish like a ghost when you shine a light on it. Since the phenomenon hasnt been subjected to scientific scrutiny, I have to question the reliability of the source. Talbot, however, doesn’t. Similarly, he talks about Sathya Sai Baba in a positive light. Sai Baba was a very popular Indian guru, surrounded by countless devotees. He claimed to be able to manifest objects out of thin air. I have a hard time taking such claims seriously. The warning signs of fakery are all there: a love for public adoration, the projection of a larger-than-life image, and a refusal to subject your “powers” to scientific enquiry. It beggars belief how Talbot can simply accept this man’s claims without question. Talbot himself claims to have had profound experiences of his own in childhood: poltergeist manifestations and objects materialising out of thin air. All I can say about that is: I wish I had experienced it, because I’m unable to believe it otherwise. I really wanted to like this book a lot more than I did. But when Sai Baba and the stigmatics came up, I lost all confidence in Talbot’s ability to separate truth from nonsense in the arena of the paranormal. If all the things that Talbot catalogues are true, then there is no good reason why James Randi’s Million Dollar Paranormal Challenge has remained without a winner for decades. For a far more rational and level-headed examination of paranormal phenomena, read the works of Dean Radin. The subtitle of this book is “Science as a Candle in the Dark,” which captures the theme beautifully. The book seeks to teach the importance of the scientific method in determining truth from error. It’s careful not to assert that the scientific method is the only method, but is clearly the most effective, as given by its success. The value of critical and sceptical thinking is discussed, with many examples. One of the best chapters is the one where the author discusses what he calls the “baloney detection kit,” covering the various logical fallacies, such as ad hominem abuse, appeal to authority, causation mistaken for correlation, etc. I confess I wasn’t prepared for how fun this book was going to be to read – and that’s chiefly down to the type of subject matter that Sagan handles, such as his lengthy comparison of the UFO abduction phenomenon to the old stories of religious visions. He also spends some time going into psychic phenomena, and even Satanic ritual abuse. If there is one weakness in the book it’s that it doesn’t quite do justice to those occasional areas of human enquiry where the scientific method lets us down. I’m something of an occult dabbler, and I’ve made successful experiments in psychokinesis. I was curious to see if my convictions about my own work could stand up against Sagan’s assertions. He is a little overly dismissive of psychic phenomena, and while discussing this subject he seems to forget for a moment that the scientific method is just a method, not our only means of determining truth. The reason the scientific method has thus far failed to give us proof of psychic phenomena is because the phenomena are extremely slippery and hard to replicate. A genuine experience of ESP might be a sudden feeling of dread that something terrible has happened to a friend, then later finding out that he’s been in a car wreck. Such an experience cannot be replicated in a lab, because the experiencer has no idea what he did to prompt it. The arena of religion understandably comes under fire for anti-scientific dogmatism, but Sagan handles the topic respectfully, while not pulling his punches. Overall, this is an excellent book. The first step in truth-seeking is not to determine what to believe, but to learn how to think. 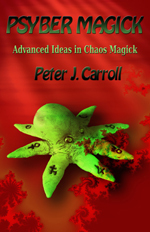 The Demon-Haunted World provides an excellent guide to that initial enterprise. Sagan is masterful at making science understandable for the lay reader.